The climate in Cusco is relatively cool although very changeable, it can happen from a radiant sun to a torrential rain, in just minutes. So be prepared for a little rain, even if it comes in Dry Season. The temperatures in the city of Cusco oscillate between 13 and 15 ºC, and this is the case in almost all the southern region of Peru; However, the Sacred Valley of the Incas where Machu Picchu is located enjoys one of the best climates in the region, with temperatures around 19 ºC. In general the region of Cusco enjoys a climate that varies in 2 seasons to the year; The dry season and the rainy season. Although the days in Cusco are very sunny, so much that you need sun protection, the nights can be really cold, Especially in the months of June and July; So if you are planning your trip to Cusco and Machu Picchu for these months, we recommend you bring warm clothes with you. What is the climate like in Cusco? The hot air mass of the south-eastern jungle of Peru mixes with the cold, dry air of the Andes Mountains, in the middle of the Sacred Valley of the Incas; When combined, cause almost instantaneous climatic effects very peculiar, so much so that if you are lucky, you can stand under a rainbow, right in the middle of an intense rain on one side and a radiant sun on the other, and if you do not mind getting wet Little, this can be truly incredible. Well then we will describe each of the 2 seasons in Cusco. When to go to Cusco? Well, it’s one of the questions we answer most often, and we’ll tell you the same things we say to people who travel with us, and we learned from people who traveled with us: Only you can choose when it’s the best time to travel to Cusco. The climate of Cusco is marked by 2 seasons; The rainy season and the dry season. Then we detail them, so you will see the pros and cons of each one of them. The “rainy season” in Cusco runs from November to February or March, with an average annual rainfall, ranging from 600 to 1000 mm. The intense rains are generally in the afternoon, Cusco is full of 2 or 3 rainbows at the same time, and the Inca city of Machu Picchu is dressed in its most intense green, and this is truly fabulous in a totally green environment like The one of Machu Picchu. Although it is rainy season, it is also summer in Cusco; So no matter how rainy, the days are warm; In addition, traveling to Machu Picchu in the rainy season has many advantages. Precipitations: Less than 500 mm to 1000 mm / year. Temperatures: Maximum up to 26 ° C. Average: 18° C to 23° C.
Minimum: It descends to 4 ° C.
Do not forget to pack waterproof clothing , an umbrella and footwear that will allow you to walk safely on wet and slippery surfaces. Sun protection (cap, hat, sun block, sunglasses, although you have to bring all this, you can also buy here, we recommend that your luggage is as light as possible. The “Dry Season” in Machu Picchu runs from April to October, the weather during this season is dry, at least most of the time, as intermittent rainfall may occur at any time of the year, despite the months of June, July And August are the driest. Although the days are warm with an average temperature between 17 and 19 ° C; Nights are cooler during the dry season, and it is not uncommon for temperatures to drop below freezing in the months of June and July. 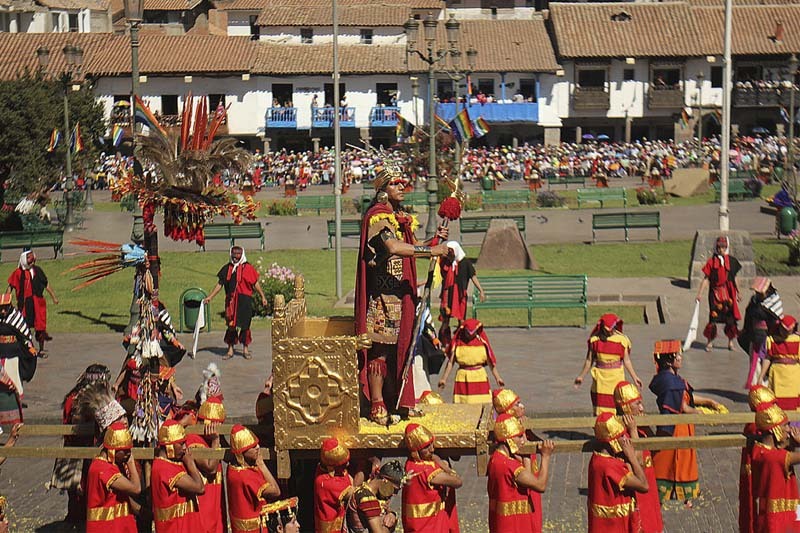 Between these months there is the high season of tourism, so if you choose to come to Cusco during this time, know that there are many people who will do the same as you. This causes that the tickets Machu Picchu, the train tickets and the hotels and guides in the city of Cusco, must be reserved with time of anticipation. During this season insects abound, so bring a good repellent. It should be noted that it is winter and the coldest period, especially the months of June and July, where temperatures drop to -2 ° C.
The month of September gives you the opportunity to visit Machu Picchu in the spring; During this particular time, the weather is wonderful, the landscapes are greener, there are less people than in the months between May and August (high season) and everything is cheaper; In addition, the weather will allow you to take all the photos you want to Machu Picchu. The month of September gives one of the best opportunities to ascend some of the mountains of Machu Picchu. Temperatures: Maximum up to 23 ° C. Average: 17 to 19 ° C. Minimum: It descends to 0 ° C., although in the higher zones of mountain or if it is in the Way Inca, the temperatures can descend below -2 ° C.
If you plan to come during this season, know that the season requires that visitors bring sun protection (cap, sun block, lenses), repellent and plenty of water. The nights are cold, so you better not forget your most warm clothes. No matter what season you come, you must bring waterproof clothing, since, regardless of the season, the rains fall any time of the year, so come prepared. Regardless of whether it is during the dry season or during the rainy season, you will want to visit Machu Picchu; However, you can not expect to arrive in Cusco to book tickets Machu Picchu or train tickets to Machu Picchu, even more so if you want to climb the amazing Huayna Picchu mountain. For more information contact us at info@boletomachupicchu.com. 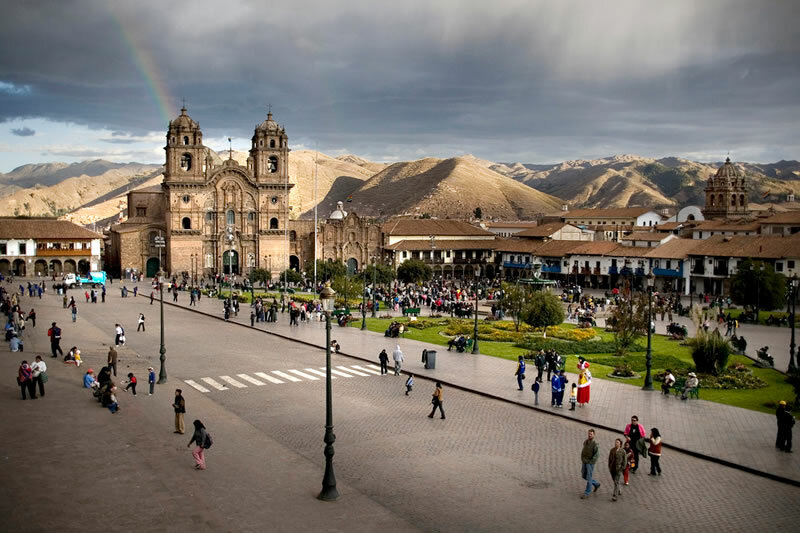 ← How to get to the city of Cusco?